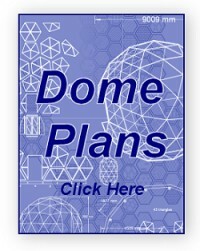 When building or buying a dome many people get confused with what size dome would suit there needs. Most folk are familiar with standard size buildings and can compare similar products simply by checking the dimensions of each building, when it comes to domes however things get a bit complicated. 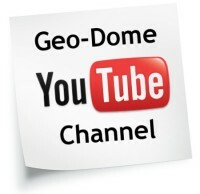 What size dome would be the equivalent of a 6’x10’ for example. 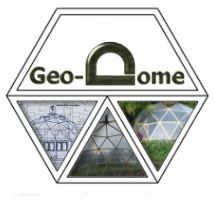 I’ve made up a couple of scale drawings showing three typical sized domes (available as kits here on geo-dome) and there equivalent rectangle counterparts, one is metric and the other is feet and inches just to cover all bases. Any questions just leave a comment below. The diagrams above should give you a rough idea about equivalent floor areas, it''s worth pointing out that even though the floor areas are similar domes have some unique features that set them apart from square building of the same floor area. For example you could walk into the GD27 dome shown above with a 19'' length of wood and turn around with it inside, with the square buildings you could only do that with at best a 12''6" peace of wood. Also the surface area is between 20% and 30% less in a dome which will affect thermal performance, wind loads etc. intresting info, but what about usable surface area? for a traditional green house, home or storage you can put things right up to thr wall, in a dome you need to give up some floor space to have enough height.